So Halloween is almost here, and to help you celebrate the frightful festive, I’ve compiled a list of scary and stylish treats! While the £2,229 price tag may be a tad out of my budget, this sleek leather and lace dress from L’Wren Scott will ensure you take centre stage at the halloween events. 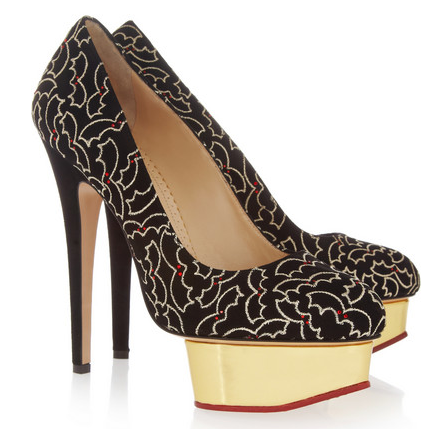 With gold embroidered bats with spooky red crystal eyes, these limited edition suede heels will look fabulous with an elegant black dress and should be invested in for many Halloweens to come! 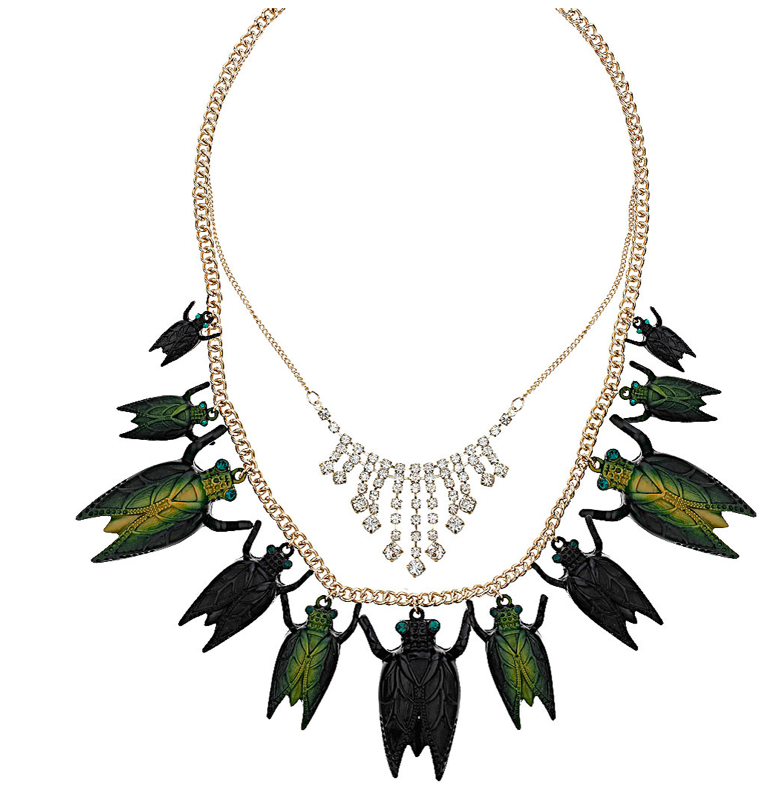 At £22.50, this creepy-crawly necklace is a cheap n chic way to add eerie elegance to your favourite LBD for halloween. 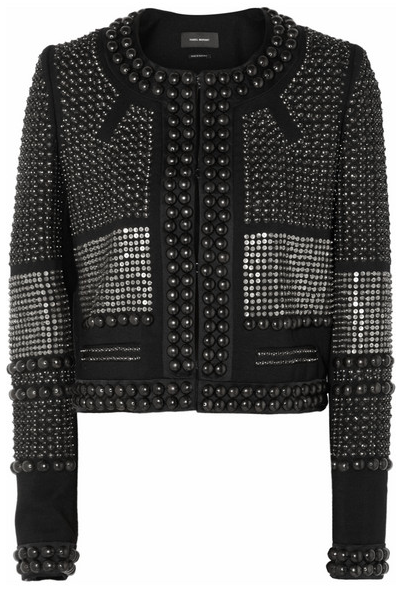 Refernce the Rock n Roll aesthetic of Isabel Marant’s fall 13 collection with this runway jacket – the ideal coverup for over those vampy halloween dresses, and an iconic investment piece for your wardrobe. I’d love to know what frightful fashion pieces you are going to be rocking this Halloween – are you going seriously scary or shockingly chic? Previous Post Trick or Treat! Spooktacular Halloween Biscuits!